While the Cleveland Cavaliers may have swept the Boston Celtics with relative ease, there were some downsides to that heated series that may have repercussions for LeBron James and his teammates as they continue on in their pursuit of an NBA Championship. Swingman J.R. Smith is serving a suspension, but that’s not the most immediate problem. That stems from an injury to one of their premier frontcourt players. 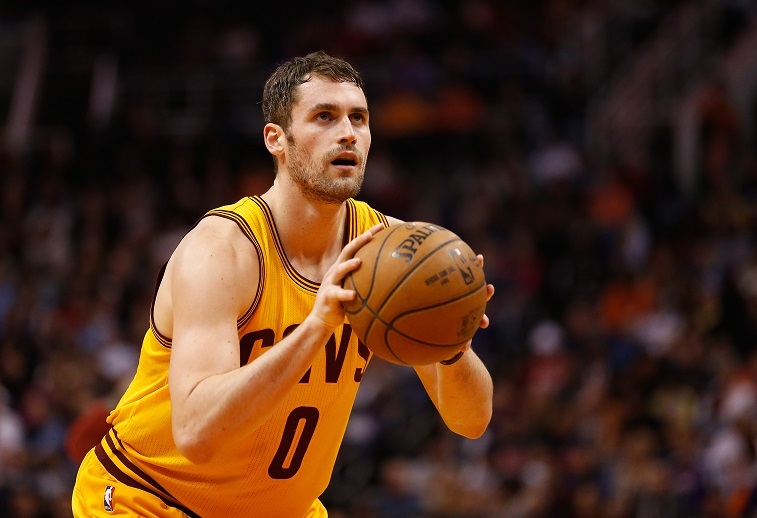 Upon further evaluation, GM David Griffin confirmed “extensive damage” to Kevin Love’s shoulder and announced that the All-Star forward would be out for the remainder of the playoffs. 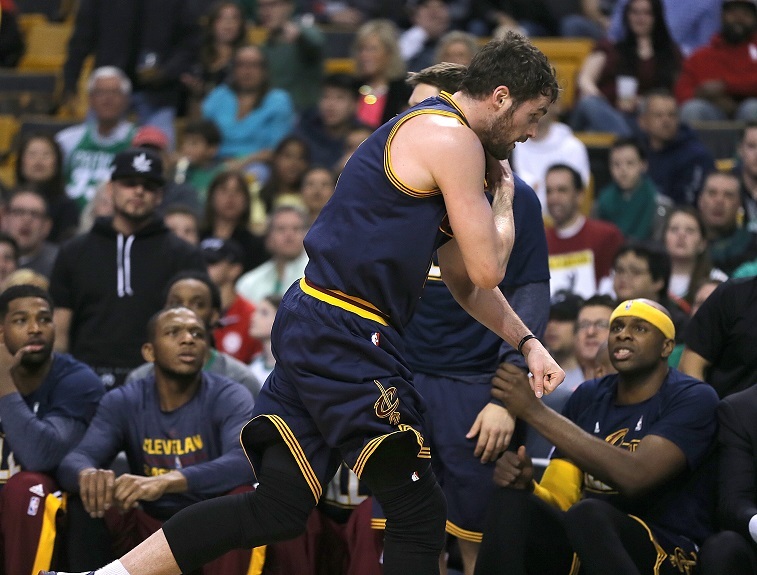 The loss of Kevin Love, although very much-maligned, has all but slammed the door shut upon Cleveland’s title hopes. Without Love, the Cavs will not put up much of a fight in the Finals, let alone survive the suddenly wide-open East. 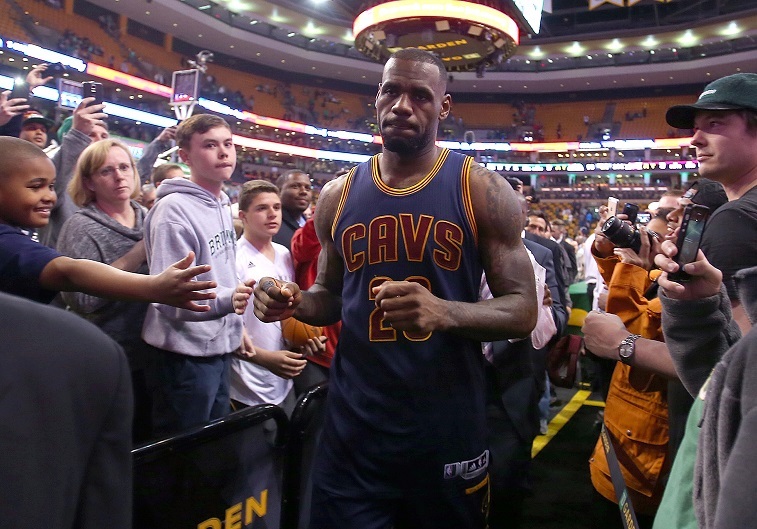 Cleveland fans should be hoping for better luck next year, for three important reasons. As the season progressed, Love settled into a Stretch 4 role in Cleveland. At power forward, Love would bang in the paint, but also step out beyond the arc to bury deep jump shots. K-Love closed out the regular season putting up 16 points per game, off 37% three-point shooting, and in Game 3 versus the Celtics, Kevin Love put it all together, going six-for-10 from deep, and pouring in 23 points. The threat of Love getting hot from the outside opened up driving lanes for both LeBron James and Kyrie Irving. Playing off the ball, Love would often curl off screens to run his own man ragged, and out of the painted area, and when setting a pick, Love was a threat to pop outside, and force defenders to pick their poison, between an open three for Love or giving up a drive to the front of the rim. Without Love, opposing defenses can simply pack the paint and tee off against James and Irving. This brings back memories of 2007, when San Antonio swept a LeBron-lead Cavaliers team in the Finals after clogging the lane, cutting off drives, and literally daring James and his mates to take outside shots. It’s easy to imagine James and Irving left to pound the ball at the top of the key, before jacking up a brick late in the shot clock. 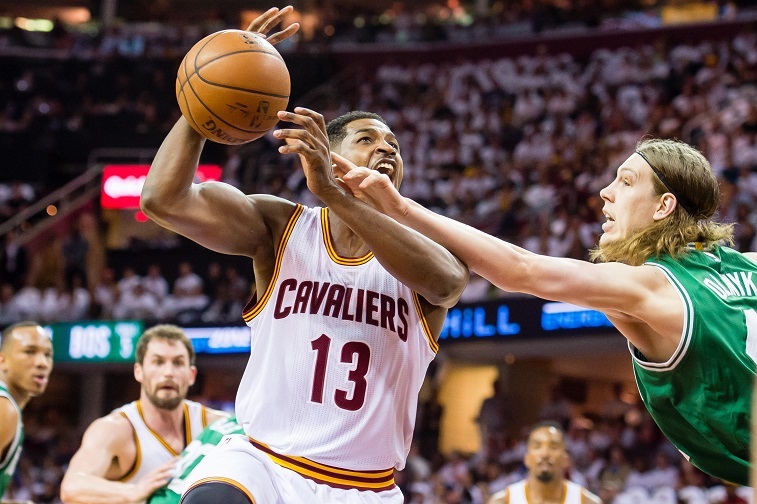 For the first round, Cavs head coach David Blatt had shortened his rotation to eight men. While the team was at full strength, only Tristan Thompson and Iman Schumpert logged significant minutes off the bench for the Cavs. For Game Two, backups James Jones and Kendrick Perkins logged a mere six minutes between them. For Game Three, Perkins sat idly by, alongside Shawn Marion, Brendan Haywood, and Mike Miller, with a Did Not Play (DNP) – Coach’s Decision. The shoulder injury to Kevin Love now foists Tristan Thompson into the starting line-up, without a serviceable back-up. For the regular season, Thompson posted nine points and eight rebounds per game, and was largely regarded as an energy, or hustle, player. Thompson has never attempted a three-pointer in four seasons and is also a weak 64% free throw shooter. Going forward, Kendrick Perkins will also see an increase in playing time. Perk, however, has averaged less than 3 points each contest in Cleveland. The Atlanta Hawks and Chicago Bulls now both loom large as match-up nightmares for the Cavs out of the East. Last February, the Bulls and Hawks sent forwards Pau Gasol, Paul Millsap, and Al Horford to the All-Star Game. The Chicago Bulls are especially deep in the front court, with Joakim Noah, Mike Dunleavy, Taj Gibson, and even rookie Nikola Mirotic logging significant minutes throughout the year. All of their players may have their way with the likes of Tristan Thomson and Timofey Mozgov, helping to make quick work out of Cleveland in the second round. With Love out of the lineup, an embattled Blatt may often shuffle LeBron into the game at power forward, to play small ball alongside Irving, Mozgov, J.R. Smith, and Iman Shumpert out on the floor. With this group, LeBron may be running on fumes late in the game, especially if Smith and Irving turn cold from the outside. James, now 30, largely returned to Cleveland for the younger legs of Love and Irving to pick up more of the scoring slack. All statistics courtesy of Basketball-Reference.